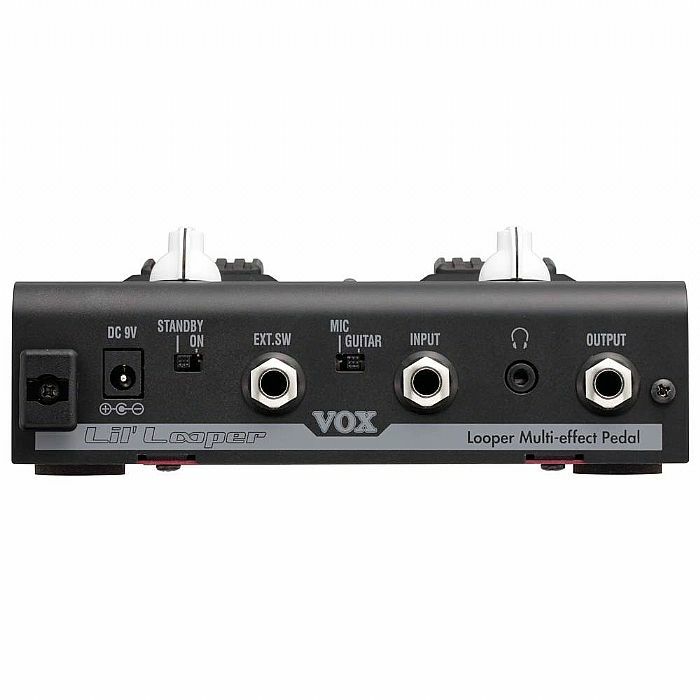 VOX Vox Lil Looper Pedal vinyl at Juno Records. 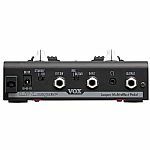 The only looper in its class and price range to feature effects & mic input. 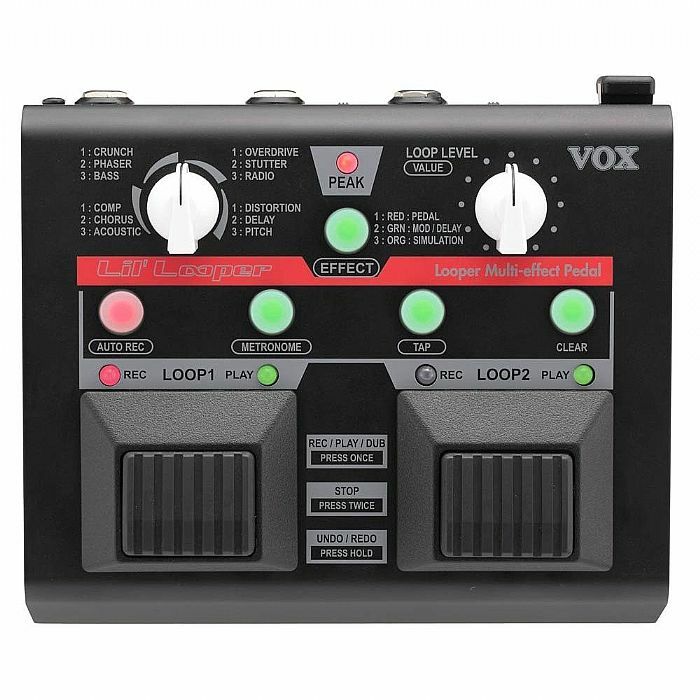 Combining 2 independent loops with a dozen onboard effects, the Vox Lil' Looper shares many of the winning features of the Vox Dynamic Looper. The easy-to-use design, solid footswitches, versatile effects, and layering loops are ideal for guitarists who want to break new ground in looped performances or who seeks new expressive power. The Lil' Looper offers the additional convenience of being compact, lightweight, and battery operated. A balanced mic input allows any mic'ed instrument, or even a vocalist, to enjoy the sonic power of the Lil' Looper right away. You can record each of the 2 loops separately, and instantly create complex and original performances by switching between different chord patterns or phrases of differing length. The loop quantize feature lets you create phrases that precisely match the same time signature and tempo. In addition to familiar effects such as distortion, compressor, phaser, and chorus, the Lil' Looper also offers effects that simulate an acoustic guitar or bass, for a total of 12 types. 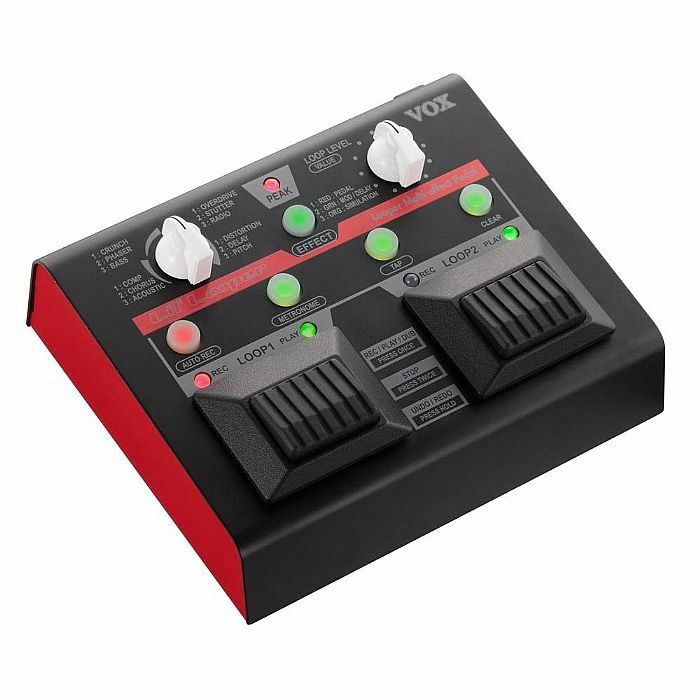 These include not only effects designed for guitar, but also some designed for use with a microphone, allowing you use to the Lil' Looper for any mic performance as well. The Lil' Looper is compact, battery operated, and provides a handy headphone output, so it's simple to create and enjoy loop performances anywhere. Easy to transport, it's ideal not only on stage but also for having fun playing loops at home, or even for practicing. Using the optional VFS2 footswitch offers extended hands-free control of the Lil' Looper; use it to switch effects, play or stop loops, or erase phrases.